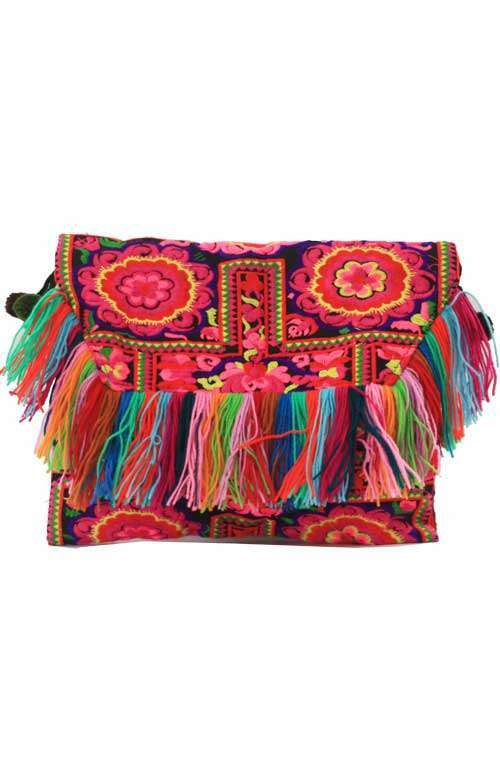 A one of a kind crossbody bag with multi-colored tassels handmade in Thailand. 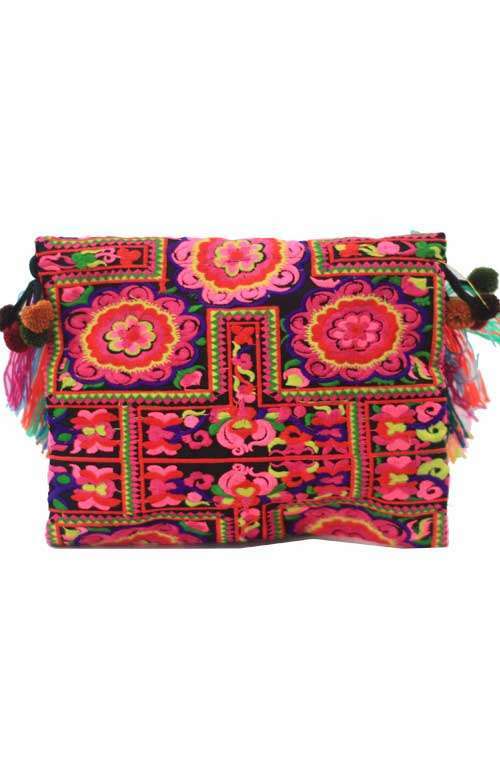 This shoulder bag is a unique boho bag, which is perfect for all occasions. 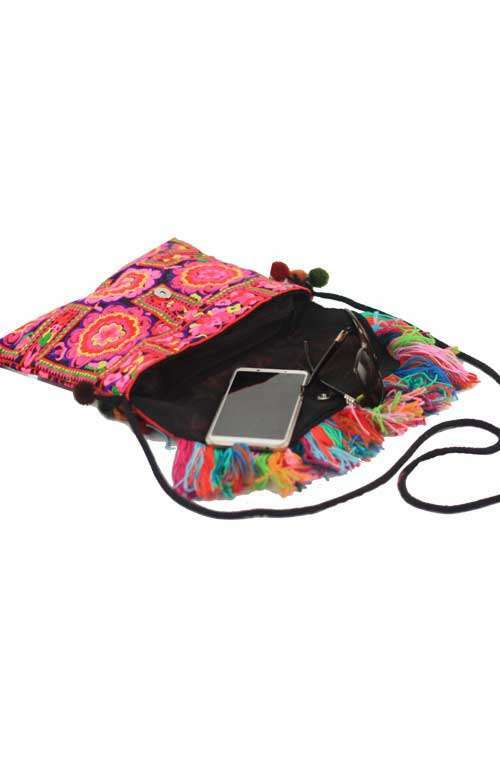 This bohemian style embroidered crossbody bag is made with embroidered fabric in Northern Thailand. This boho bag has a magnetic closure. 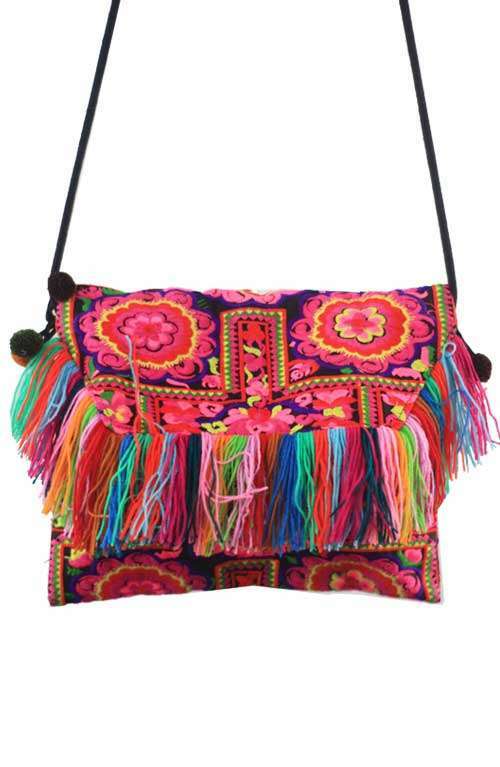 The shoulder bag with a zipper pocket has multi colored tassels at the front and a pom pom cotton strap. Please note this bag is made with unique vintage fabrics, making each bag one of a kind. You will receive the same color scheme as what is in the picture, but the bag will not be the exact same!